As 2016 came to a close, I decided it time to start getting serious with the quality of my You Tube videos. To achieve this goal, I had to pick up a separate camera; one which would allow the quick, accurate, run-and-gun style filming I tend to shoot. After much research and deliberation, I decided to pull the trigger on the new Eos M-5 mirrorless camera from Canon. Having been a Canon shooter my entire professional career, I've amassed a decent amount of Canon equipment. I couldn't justify giving up the pro-quality L series glass acquired over the years, just to replace it for a Sony or Fuji system. Granted there are adapters and features above what Canon offers, I still found the M5 as my best option. Being honest wth myself, I know Canon, and what to expect when using their cameras. I have trust in some of the best lenses on the market and know how to use them. Having no reason to believe this camera to be any different...I had to admit to myself that a learning curve can never be replaced by new equipment. By which I mean, it was time to put myself in check and work with the best equipment that I could afford. Cutting down on a completely new camera system saved me time, money, and shifted my focus into content. The end result is a rig which serves my needs, at the cheapest I could suffice without jeopardizing visual quality; Ultimately, sacrificing 4k video for lens compatibility, autofocus tracking, and travel-ability. The system contains a 24 megapixel mirrorless camera body with 49 autofocus points and an attached 11-22mm wide-angle lens. The CMOS APS-C sensor creates a 1.6x crop factor, equating to a full-frame focal range of 18-35mm. In other words, my lenses start magnified 1.6 times more than before. Not great for video of oneself necessarily, but having the extra range for travel and still photography couldn't be ignored. Essentially the EF 16-35mm F/4 L lens becomes a 24-55mm F/4 L lens...and a 24-105mm f/4 L lens into a 38-170mm. Without any additional lens purchases, I opened up my focal range by 1.6 times. For vlogging I simply attach the native EF-M 11-22mm lens, which gives an ample vlogging distance. Attached to the camera is a top handle and Sennheiser MKE400 microphone, connected by a cold-shoe bracket mount. With the attached accessories there's no longer a need for a clip-on lavaliere mic; My audio now records straight to the video without the need for uploading separate audio files. For filmmaking, I get the same quality of the EF lenses in video as well. Add to that a touchscreen LCD, Dual Pixel CMOS Autofocus, and 5 axis image stabilization...resulting in smooth, detailed subject tracking. This allows for a quick and accurate filming process. Of course no system is perfect and therefore it's important to discuss some features this set-up cannot provide. First of which is the lack of 4k video. For many 4k recording is essential in the endless struggle of advancing technology. As 4k connectivity becomes ever-more present in the not-to-distant future, those still producing content in 1080p will become quickly antiquated...forcing an eventual necessary upgrade. I tend to believe the previous generation of tech will always outnumber those ready to jump on the newest and greatest...or so I hope. Another must-have for many serious vloggers is the need for a headphone jack. Lacking this essential feature requires a faith in one's in-field audio abilities. With no headphone jack, the only way to test recorded audio is in post. This can be risky when dealing with professional situations where audio is essential. For my style of vlogging/filmmaking, I need a shotgun mic that can record my voice from roughly 2 meters away...no issue for the Sennheiser 400 MKE w/ attached wind muff. The only obstacle I'm yet to completely hurdle, is the flip down LCD screen. For many vloggers, this is necessary in order to view oneself's framing while filming. Most vloggers tend to attach a small tripod to the base of the camera for stability; Allowing for a balanced grip to keep the camera shake to a minimum. A flip down screen doesn't allow for tripod use...or at least not well. Most prefer a side articulating screen, like on the Canon 80D, which allows for a proper microphone, top-handle, and tripod use. This camera requires, for the most part, a second shooter. Luckily for me I tend to shoot limited selfie style video and often times have a second shooter, or stationary set-up. With the attached 11-22 ef-m lens and a vague sense of framing, the flip screen works. So this is all great in theory. The questions remains, how does it perform in the field? Below are a series of images taken at an outdoor Ice Castle Exhibit in Stillwater, MN on Jan. 14, 2016. The Unboxing video above was shot with my Canon 6D DSLR. 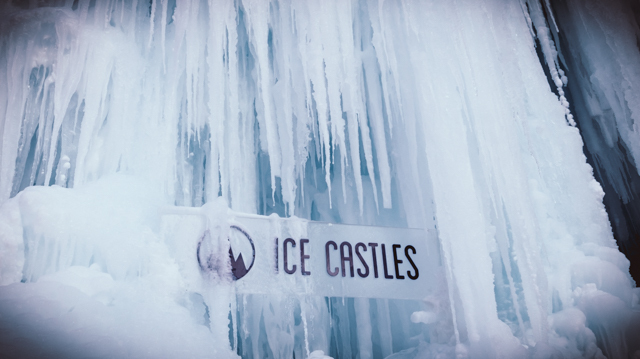 The Ice Castle video was shot with the Canon M5. To be completely transparent, along with my standard edits, some editing has been done to reduce grain and maximize detail. With the naivety of operating a new camera, I found myself relying heavily on the camera's auto filming function. This caused most of the images & video to be shot at a much higher ISO than I would intend. Which in turn caused blowouts in the highlights, considerable amounts of grain, and slow shutter. I was looking to put this system to the test, and in these conditions, it was tested. Whereas this was my first time ever shooting a mirrorless camera, I found it pretty similar to the Canon 6D. All the main dials and buttons are in their usual place, just smaller. The touchscreen on the other hand took longer than expected to utilize...Call it muscle memory, but I found myself repeadely fiddling with dials, only to remember the same thing could be done much quicker with the touchscreen. Now being use to it's functionality, I find it incredibly intuitive and quick. From my experiences the autofocus worked incredible fast and accurate for filming. This was a major decision in why I purchased the system, and glad it doesn't let down. The focus box accurately stays pinned to the subject, even when the subject or camera operator moves; Effectively allowing for accurate tracking shots. It also intuitively knows when to switch to a new subject, but if still too slow, just touch the LCD screen and the focus shifts. I wish I could say I tested the 5 axis image as effectively, but it took me half the day to realize I didn't have an image-stabilized lens attached. By the time I noticed, the sun had already set and shooting conditions became tricky. I was able to pull off, in the image above, a 1/30 handheld shot...The only downside, it was shot at 1000 ISO which left noticeable grain. The native EF 50mm and 16-35mm lenses I used worked great w/ the lens mount adapter. They added a lot of versatility in terms of focal range and detailed quality in both video and still shooting. I'm also yet to fully test out the flip screen for vlogging purposes. My fear is with the attached lens, microphone, and top handle, the camera & rig will be too heavy to hand carry for long periods. A trade-off for sure, and something to take seriously think on before purchasing as a vlogging camera. This being the first time using the camera in-field, I'm yet to pass any judgement. There will be a learning curve, as there is with all new cameras, but will it ultimately live up to my expectations? I think yes, just not as enthusiastically as I may hove initially hoped. I try to catch myself when thinking it's more of a camera than it is. The reality remains, this is a mid-level mirrorless system. It has some great features, but also lacks in other areas. Ultimately, I would like to see a full frame option w/4k video, articulating screen, and microphone jack...and rumor has it, Canon has one in the works. When it will see the light of day, and whether it lives up to expectations is an issue for another time. So no, the Canon Eos M5 won't be for everyone...for everyone else, it's a great camera for breaking into photography and mirrorless systems. It'll also be a lot cheaper than the full-frame equivalents currently on the market. As I continue to shoot with it, I'm confident it will work for my filming needs...the question remains, for how long? If you made it this far, and found value in this article, please share. Check out the accompanying You Tube videos for more in-depth coverage of the Canon M5 and Subscribe to receive all future videos. If seriously in the market for this camera, please consider using this affiliate link...a small percentage will go to help support this blog at no additional cost. Thanks again for reading. Feel free to post questions that I may have left unanswered, and until next time...keep shooting and be the change! Thank You! Confirm your first email and you'll be included on all monthly content.